Online Pre-Booking for Half Girlfriend, Hindi Medium and Jattu Engineer Gets Started! 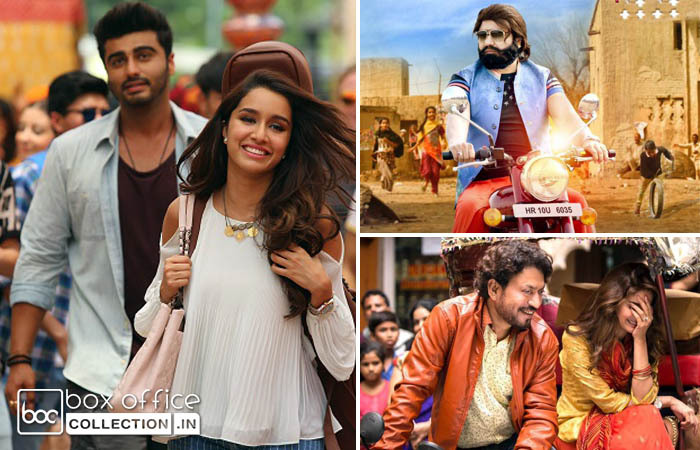 This coming Friday, three Hindi offerings are all set to be released at box office- Half Girlfriend, Hindi Medium and Jattu Engineer. Advance booking for all these films gets started in selected cities and will be opened everywhere across the country till Wednesday including all single as well as multi screen cinemas. Among these three, Arjun Kapoor and Shraddha Kapoor starrer Half Girlfriend is one of the much awaited films of the year and has good pre-release buzz among fans as well as audience. Mohit Suri’s directorial this romantic drama is based on the best selling novel of Chetan Bhagat with same title. So far the movie has got succeed to attract audience toward itself with it’s promos as well as soulful music. Also the star power and wide scale promotions, makes it capable to perform well at box office after the release. The second one, Irrfan Khan and Saba Qamar starrer romantic family drama film Hindi Medium also received good response from viewers as well as critics for it’s connecting story and trailer. It is the story of Indian parents who struggle a lot for the admission of their daughter in English medium school. Saket Chaudhary’s this directorial venture is not highly buzzed but seems capable enough to get decent response at box office. Last but not the least, Saint Gurmeet Singh Ji starrer comedy film Jattu Engineer is the one which will remain unaffected at box office despite any hurdle. Even already ruling magnum opus Baahubali 2 won’t hamper it’s business. The film has it’s own massive targeted audience or we can say the devotees of Dr. MSG, who are enough to make it blockbuster. Like his previous films, this one too is positively expected to take box office by storm.